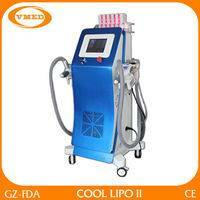 We can perform non surgical fat reduction by two methods–fat freezing and fat heating. 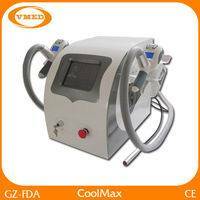 Fat cells can be safely and effectively eliminated from your body by a process of fat freezing. When fat cells are frozen to very low temperatures, the body automatically kills off these fat cells through a process called apoptosis, which is the medical term for “programmed cell death”. Over a period of a few months, once fat cells have been frozen, your own body will simply get rid of the frozen fat cells, removing stubborn small pockets of fat that are resistant to diet and exercise. 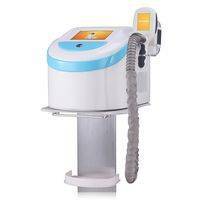 How does Cavitation Ultrasound Work? How does Radio frequency Work ? 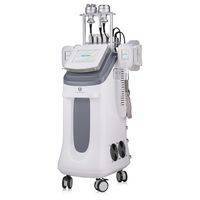 Radio frequency skin tightening devices gently heat up subdermal tissue with radio waves. This causes your body to make more collagen and elastin, the two things that will make your skin look young again. RF literally remodels your skin structure from the inside out, shrinking lines and wrinkles and firming up your skin. It can also help reduce cellulite deposits. How does Lipolaser Work ? cells, breaking down the stored triglycerides into free fatty acids and glycerol and releasing them though channels in the cell membranes. The fatty acids and glycerol are then transported around the body to the tissues that will use them during metabolism to create energy. 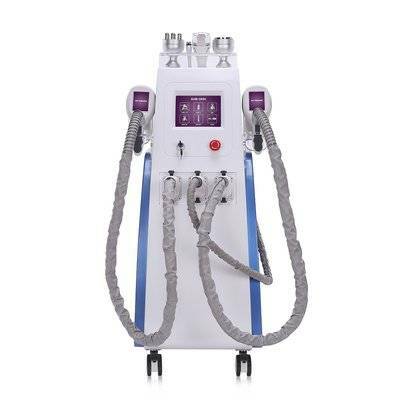 This process of fatty acid release is a natural response of the body when the body needs to use stored energy reserves, thus Laser Lipo is not creating any unnatural reaction in the body nor does it affect or damage any surrounding structures such as skin,blood vessels and peripheral nerves. A period of exercise post treatment will ensure the complete metabolism and thus elimination from the body of the fatty acids.